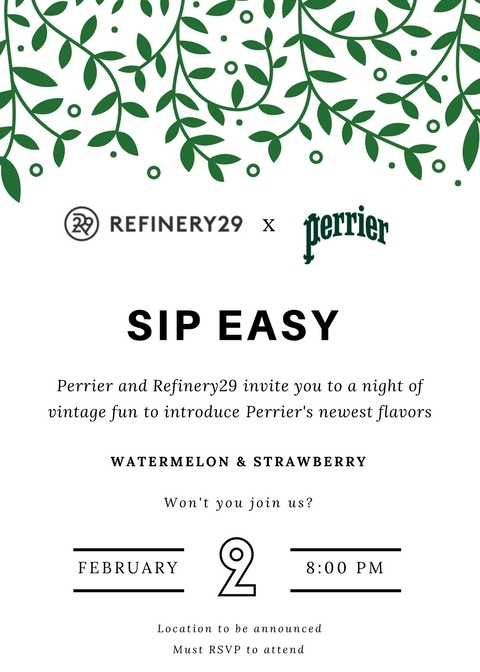 #SIPEASY is a fresh take on the 1920s speakeasy, where Perrier will invite people to celebrate art. 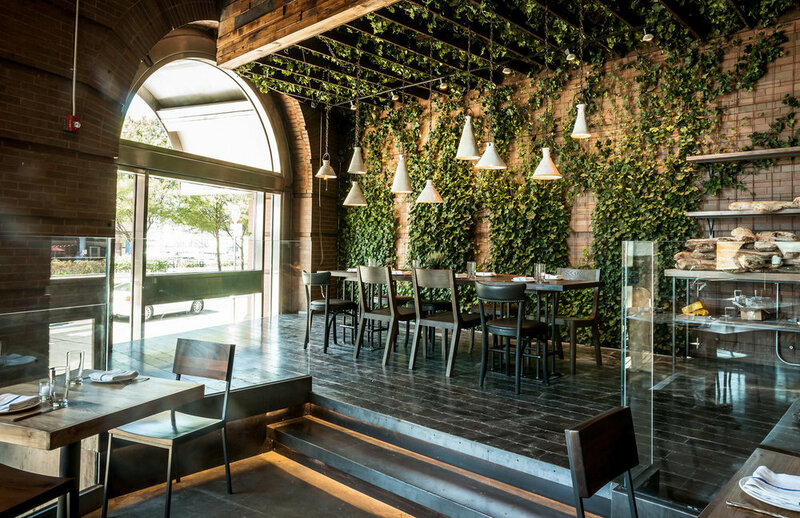 To combine Perrier’s green tones and the lush speakeasy feel, the venue will be decorated with greenery. The venue will also have a discrete entrance through a wall painted with a watermelons and strawberries. To emphasize the artistic atmosphere, Dua Lipa, a popular and dynamic new artist, will perform a live show. There will also be other performances by up-and-coming artists. Musical performances would be accompanied by a brass band where fitting to help set the tone for the event. There will be small watermelon and strawberry patches inside the venue. Each patch will have baskets and little barrels filled with slim cans available for guests to try, and the barrels will be cooled with watermelon and strawberry ice. Sharing spot #1. Located in the entrance of the event so all guests are immediately enveloped by Perrier's new flavors. The fruit tunnel will be formed by greenery, hanging strawberries and slices of watermelon. Sharing spot #2. Before the event, local artists and students in art schools will be invited to submit portraits of a person they find extraordinary made in their own personal style. The portraits will be hung on the venue walls. Guests can get their picture taken by a photographer with a 1920s-esque standing "box" camera. Their photo will show up on the wall as a digital portrait with an oil painting filter, switching every 10 minutes to allow for new guest photos. This creates the opportunity for them to become part of the installation. Sharing spot #3. A list of signature cocktails specially mixed with Perrier’s watermelon and strawberry flavors will be served in unique glasses. Other basic drinks will also be available. Each signature cocktail will have a unique glass designed by a different artist and will be etched with Perrier and R29's logos, which guests will be able to take home as a souvenir. Subscribers to Refinery29 will receive e-mail invitations with mandatory RSVP and limited spaces. Influencers with a relationship to R29 will be sent printed invitations. The location will be revealed the day of the event to keep with the speakeasy theme.